At the pace it’s been going lately, it’s hard not to feel like Rebels has been heading toward its conclusion. We’re getting closer and closer to A New Hope in the show’s timeline—but there’s still more stories to tell before Rebels ends, it seems, as Disney and Lucasfilm have just confirmed a fourth season of the show. Interestingly, the companies did not mention that this would be a fourth “and final” season, although the fate of the show beyond it remains to be seen. It’s a little surprising, not because Rebels is bad or anything—it’s gotten better and better with each season. But because we’ve heard about initial plans for a new animated series, and even potential rumors about its title recently, combined with the fact that the show itself has felt like it’s entering an endgame in these last few episodes of season three, it felt like any potential announcement of more Rebels would also be one that confirmed the show’s oncoming conclusion. That’s not the case for season four yet though—and if Rebels continues the trend it’s currently on, we’re more than happy to see it keep going. 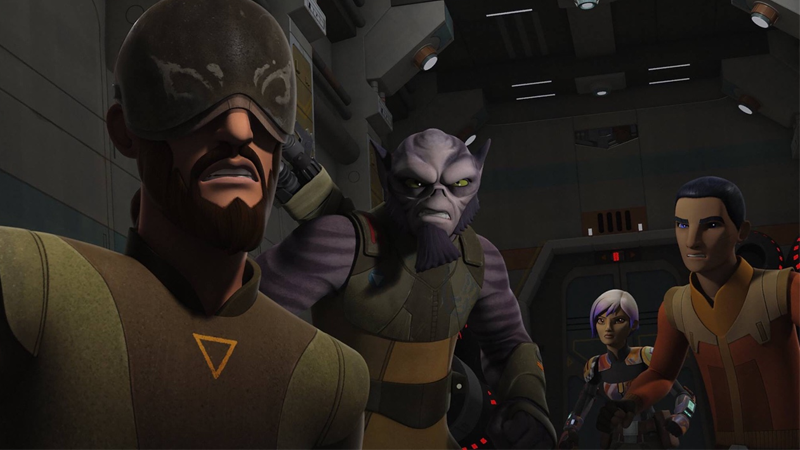 Star Wars: Rebels’ fourth season is due to begin this fall on Disney XD, with more news about what the crew of the Ghost will be up against to be announced at Star Wars Celebration this April.